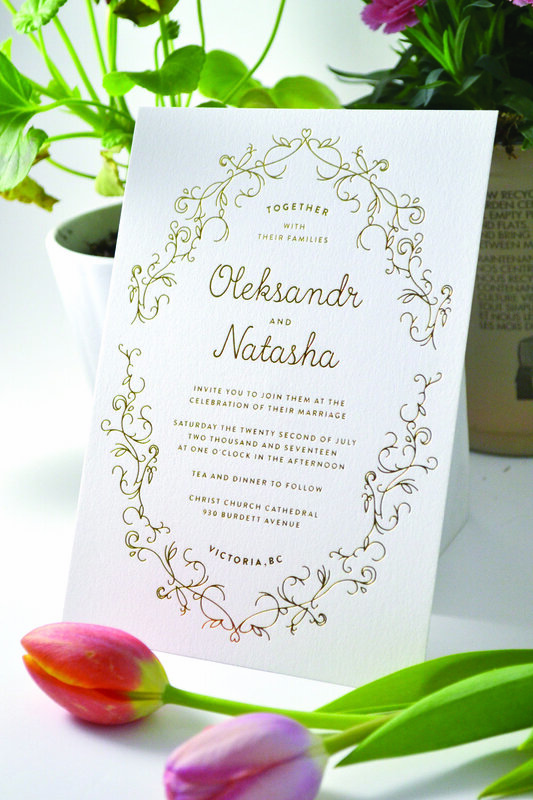 For Oleksandr and Natasha's wedding, the couple requested their wedding invitation be a reflection of their careful planning and passion for detail. Throughout the design are ten hidden rabbits and eight carrots, a nod to the couples' favorite childhood story, Peter Rabbit. Can you find all the hidden elements?